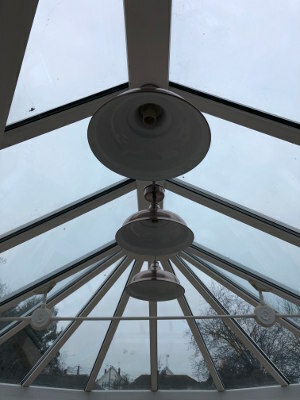 A feature light installed within a conservatory at a property in Southend-on-Sea. 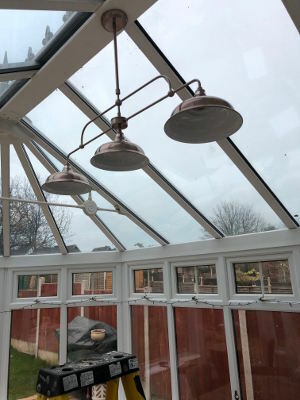 As with all conservatory ceiling lighting installations, Leigh Electrical have to take extra care due to the possibility of weak fixtures and potential water leaks. With over 50 years experience of performing conservatory lighting installs, this particular project was completed without any problems. As can be seen in the photographs, the light really compliments the space and left the customer very happy with the service they received. 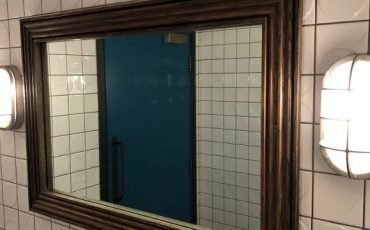 The whole installation was completed within a couple of hours and all with an excellent finish as is customary with Leigh Electrical installations of this nature. 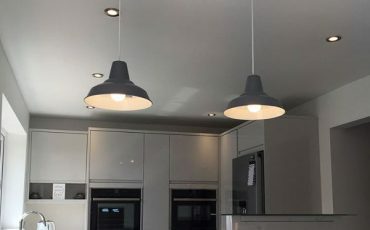 Domestic lighting installations of all kinds are a specialty of Leigh Electrical, to learn more about this service please follow this link. To speak to our team and book a free no obligation quote, simply click the button above or dial us directly on 01702 873350. Below is an example of one of the hundreds of quotes left by previous customers regarding the value and quality we provide on Checkatrade, Yell and Trust a Trader. Use Leigh Electrical For Lighting Installations – Heres Why! Leigh Electrical are one of the oldest and most established electricians operating in Southend-on-Sea. We have completed thousands of lighting installations in Southend and the wider Essex area over the past 50 years. All of our work is covered under the NICEIC Platinum Promise 5 Year Guarantee. This is offered by the NICEIC to all customers of NICEIC members such as Leigh Electrical. 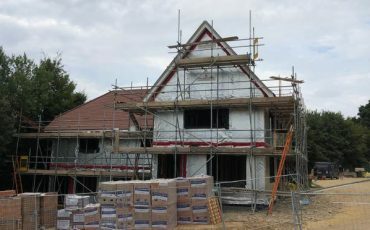 We operate in Southend, 7 days a week and will gladly come and provide quotes or complete works during the evenings. We are CRB checked and also carry public liability insurance to the tune of 25 million pounds. Conservatory Ceiling Light Installation. For a free quote please call us on 01702 873350.